Biogas is a natural gas also known as biofuel or biomass and is produced by breaking down organic material such as household waste, manure and crops grown specifically for biofuel with temperature-sensitive microbes and capturing the by-products. 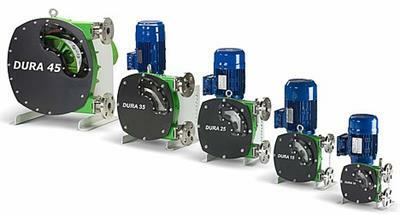 By Verderflex Peristaltic Pumps - part of the Verder Group based in Castleford, UNITED KINGDOM. By Industrial & Environmental Concepts, Inc. (IEC) based in Lakeville, MINNESOTA (USA). By QM Environmental International B.V. based in The Hague, NETHERLANDS. Individual farms install AD (anaerobic digestion) plant and use for on-site heating to generate revenue and dispose of farm waste, which may be a mixture of animal and plant waste. By QED Environmental Systems Ltd. based in Coventry, UNITED KINGDOM. WASTE WATER TREATMENT MADE EASY WITH THE INTRODUCTION OF D-ANOOOZ PROCESS. IT WORKS ON VARIABLE INPUT OF EFFLUENT. LOW ENERGY CONSUMPTION, NO SOUND, MINIMUM MAINTENANCE. ENERGY CAN BE TAPPED IN THE FORM OF METHANE GAS FROM ANAEROBIC DIGESTION. TARGET CUSTOMERS ARE SCHOOLS, UNIVERSITIES, HOSTEL, HOTELS, HOSPITALS, RESIDENTIAL LAY OUTS. By DAKSHA GREENTECH INTERNATIONAL based in BANGALORE, INDIA. Hydrogen sulfide is the chemical compound with the formula H2S. H2S is colorless, toxic and flammable and is responsible for the foul odour of rotten eggs and flatulence. Hydrogen sulfide often results from sulfur reducing bacteria in nonorganic matter (in the absence of oxygen), such as in swamps and sewers (anaerobic digestion). H2S also occurs in volcanic gases, natural gas and some well waters. By Ecotech Pty Ltd based in Knoxfield, AUSTRALIA. Energy recovery from municipal waste is the conversion of non-recyclable waste materials into usable energy like heat, electricity, or fuel through a variety of processes, including combustion, gasification, pyrolization, anaerobic digestion and landfill gas recovery. This process is often called waste to energy by the industry. By Rowan Food and Biomass Engineering Ltd based in Gloucestershire, UNITED KINGDOM. By Edinburgh Sensors Ltd based in Livingston, UNITED KINGDOM.